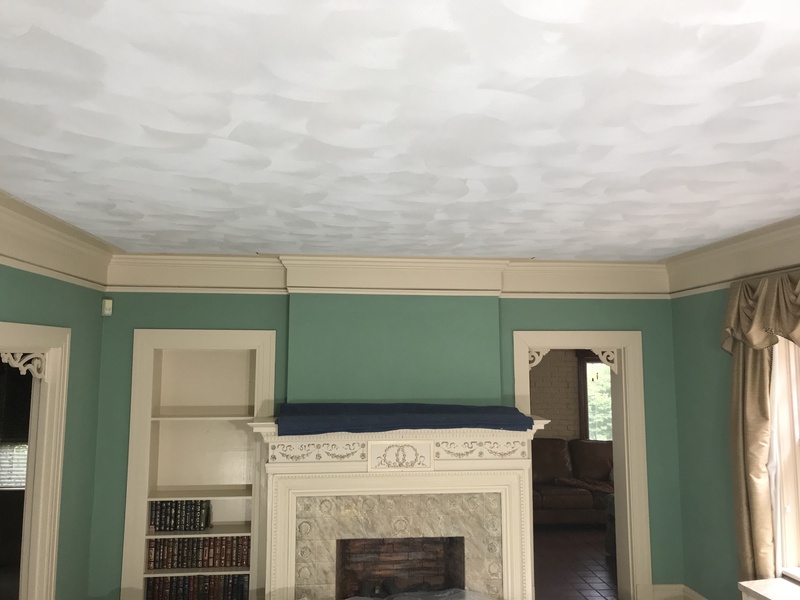 House built in 1906 with beautiful wood cornice in living room. 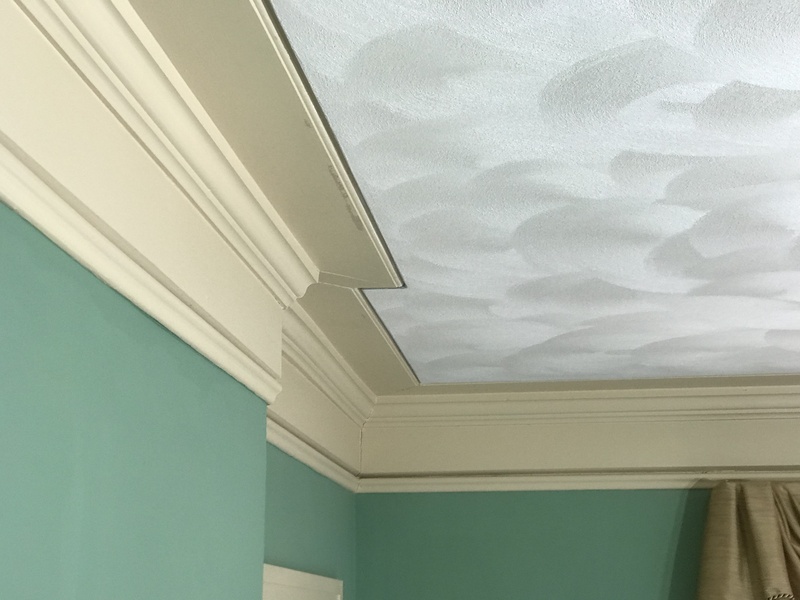 New lightweight plaster board overlay, with a plaster stop bead that saved the cornice. 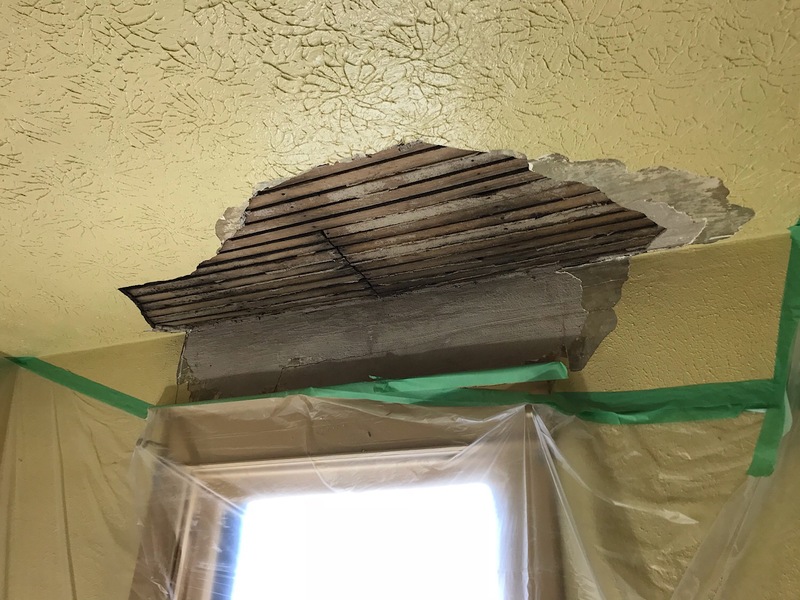 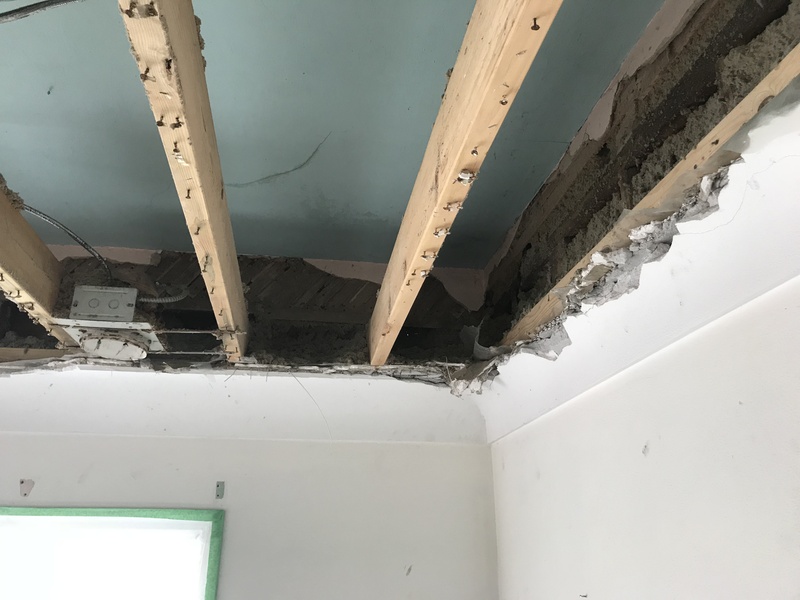 1910 Illinois Farmhouse- Ceiling and plaster cove repair after a storm caused the ceiling in the living room to collapse. 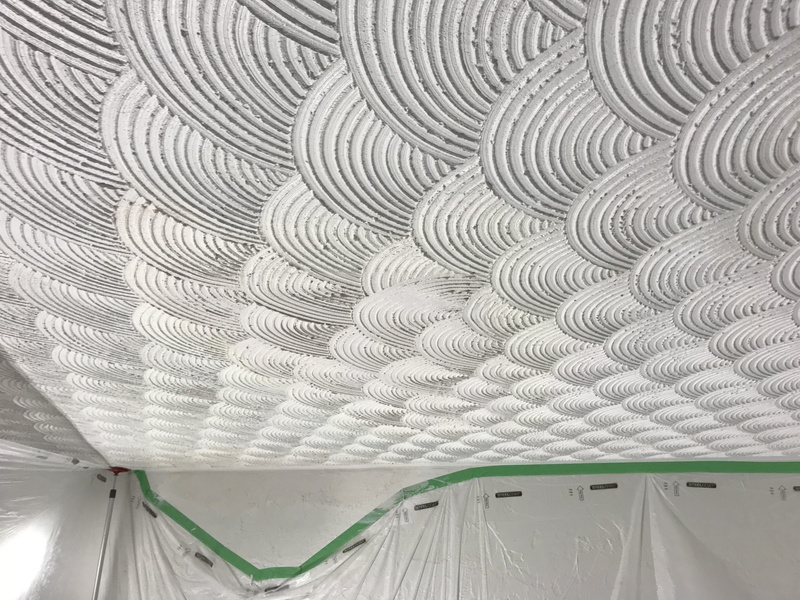 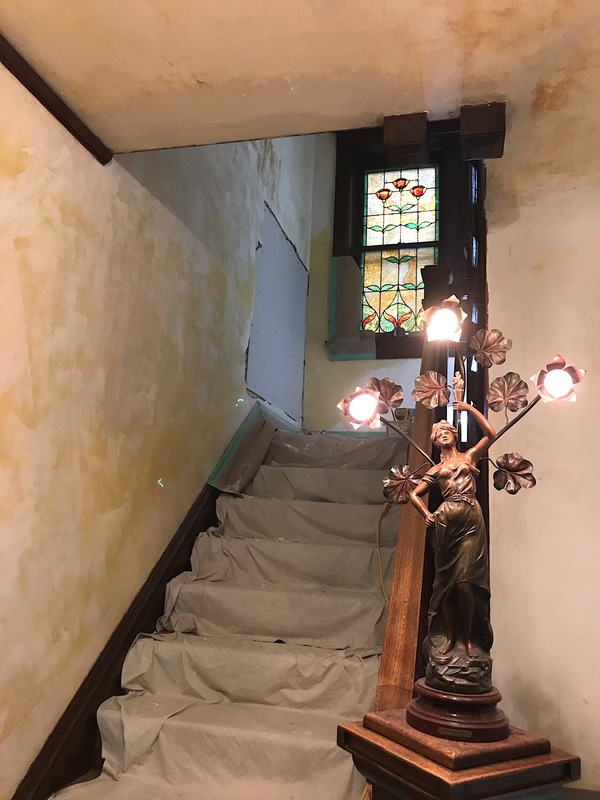 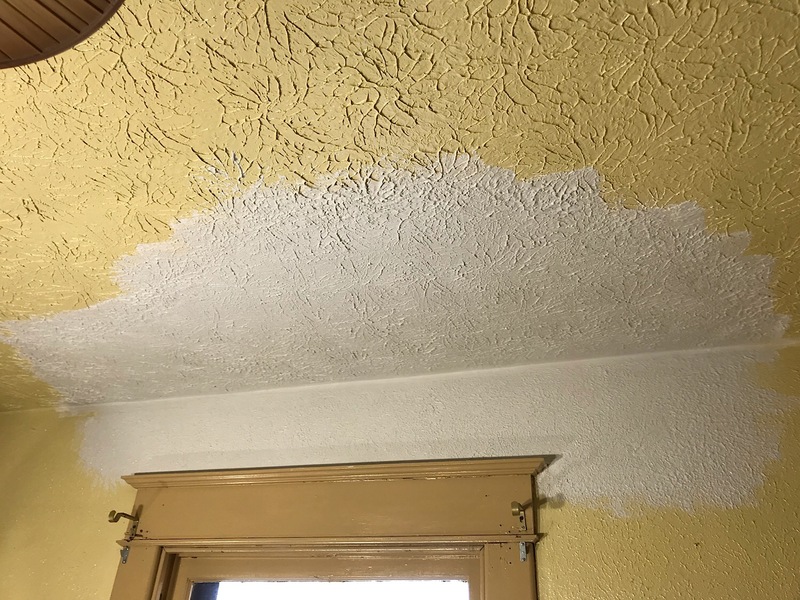 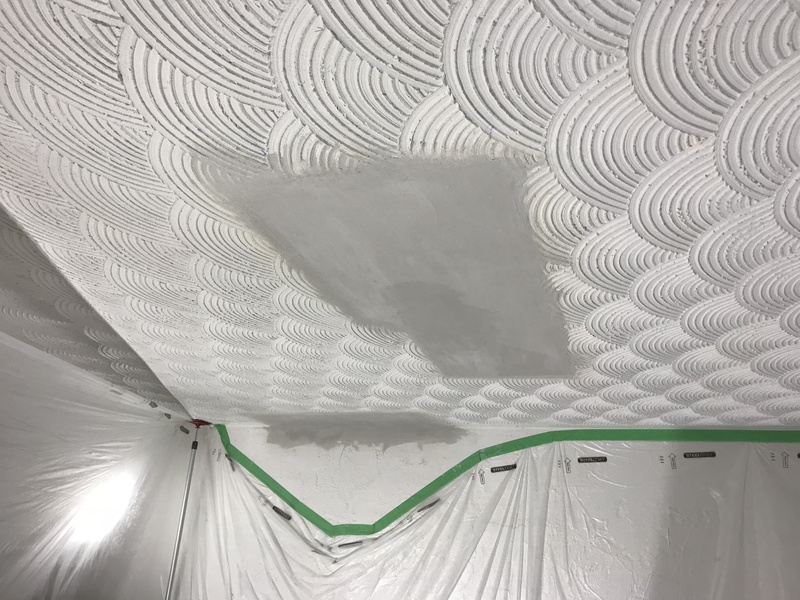 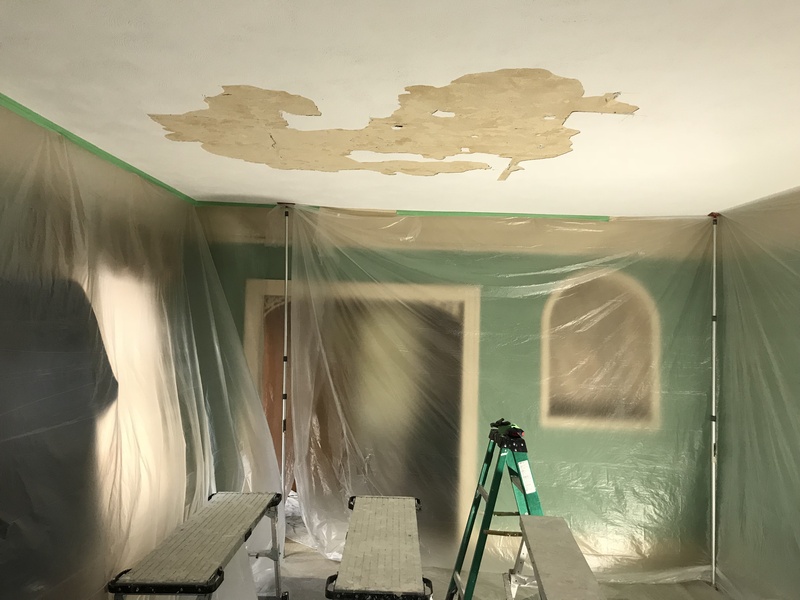 Restoring the smooth plaster ceilings in this 126 year old house. 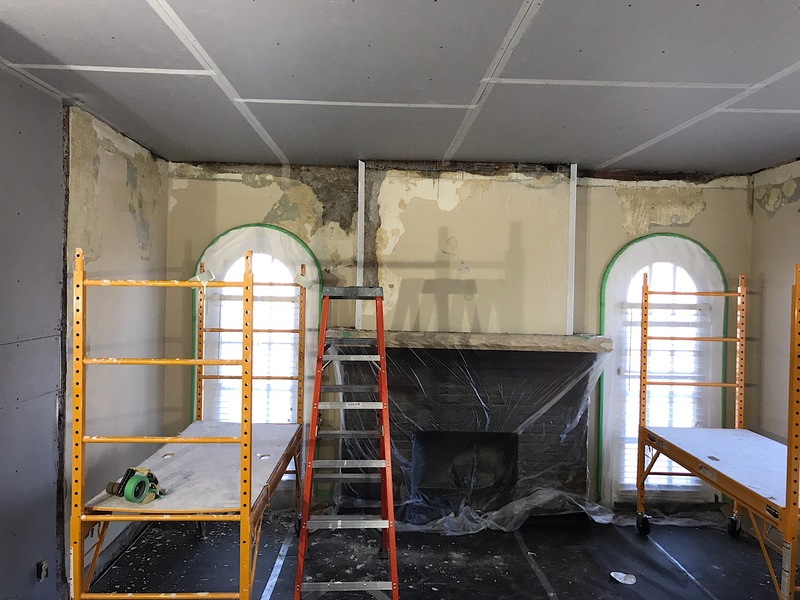 Plastering the kitchen in a historic house built in 1888. 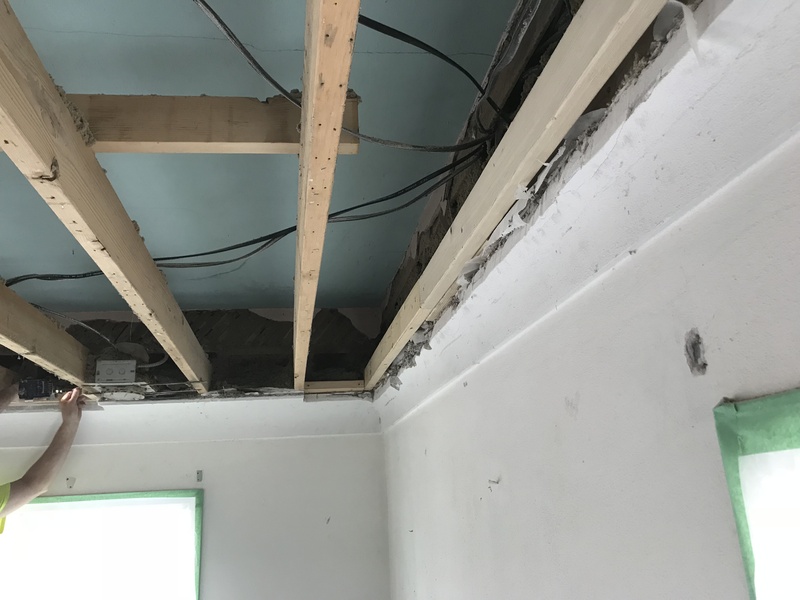 Bringing three ceilings together into one big room after the walls are removed. 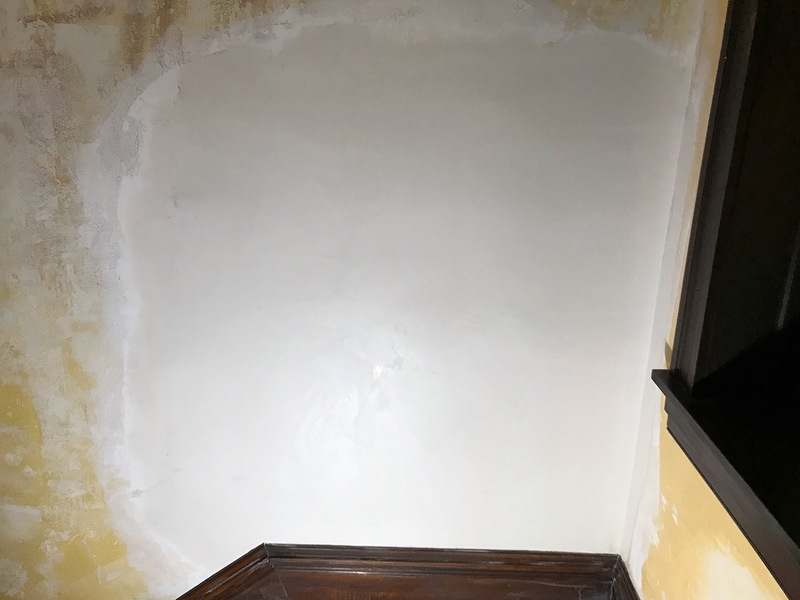 Repairing plaster in this 110 year old house. 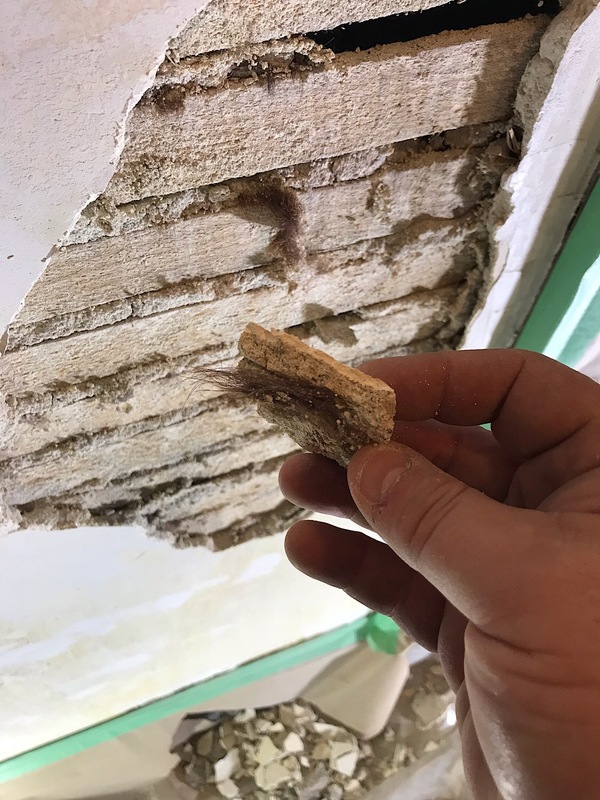 Check out the horse hair embedded in the plaster. 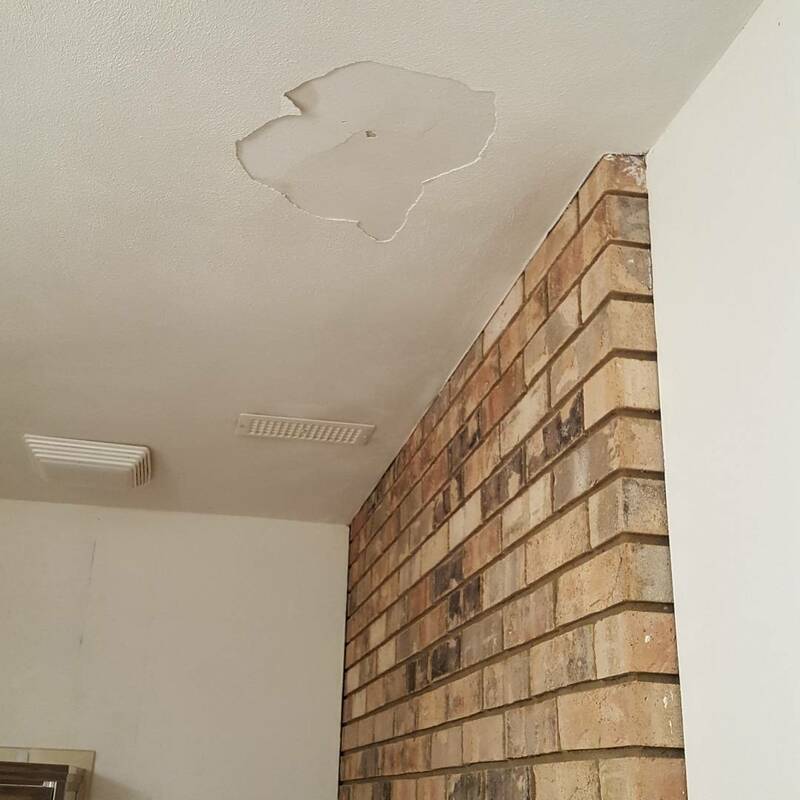 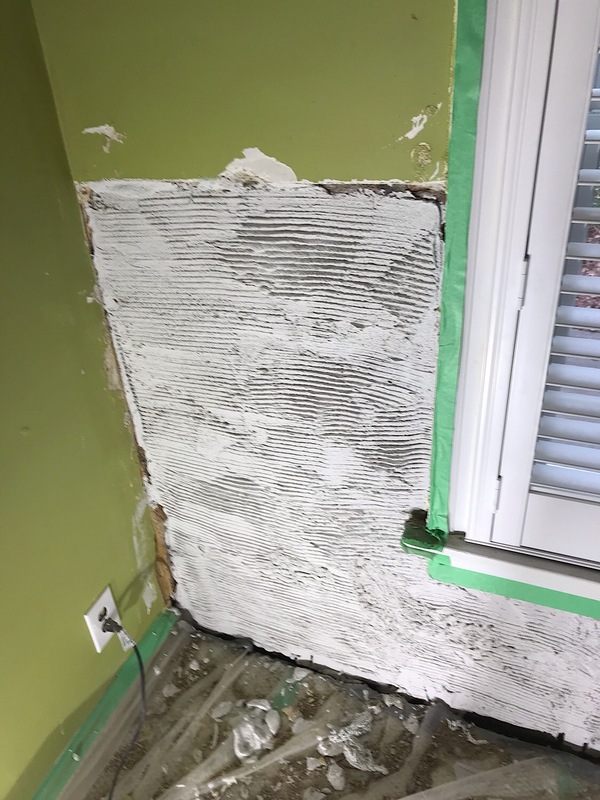 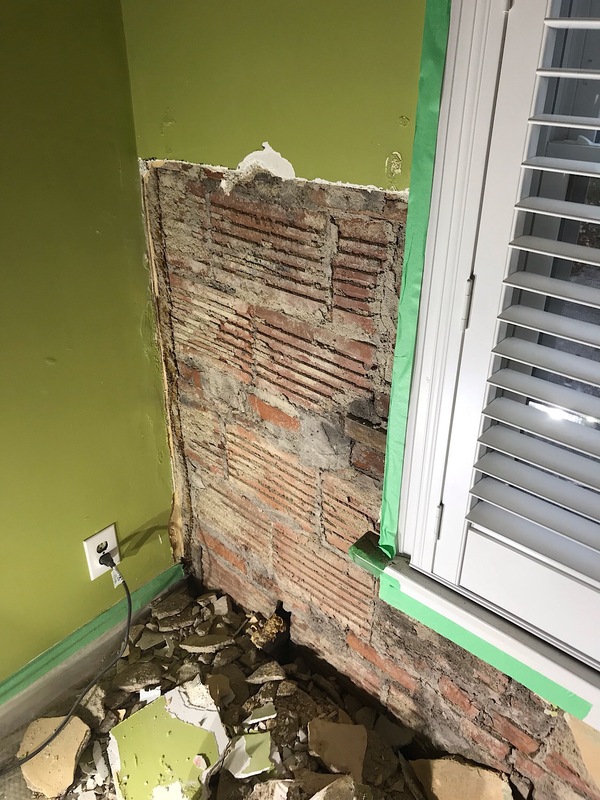 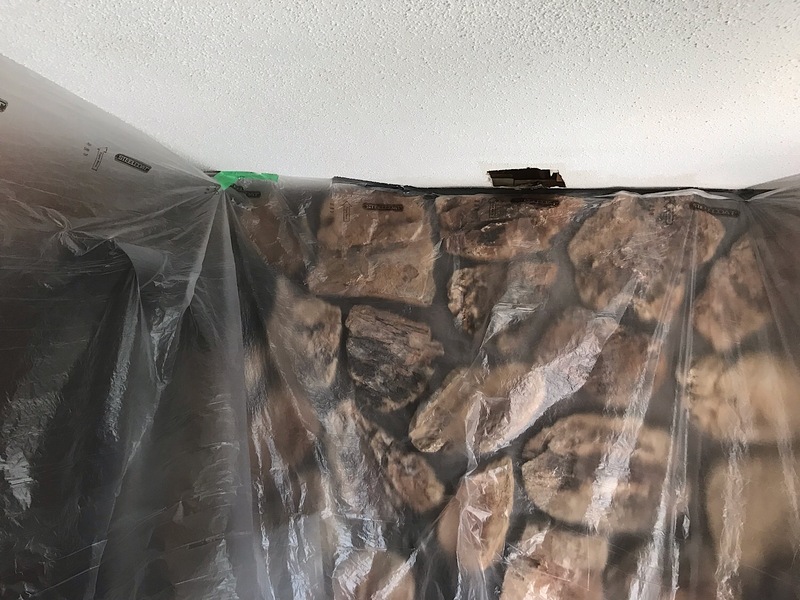 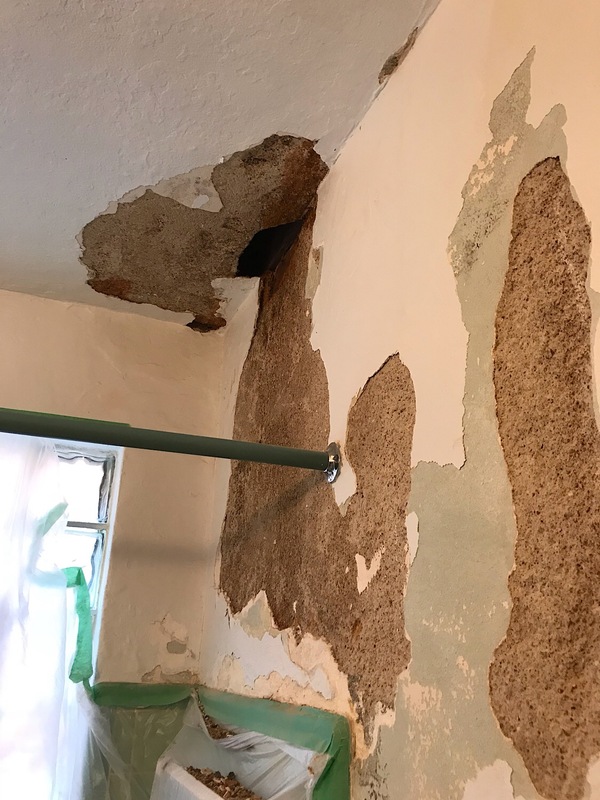 Old masonry wall under window with water damage. 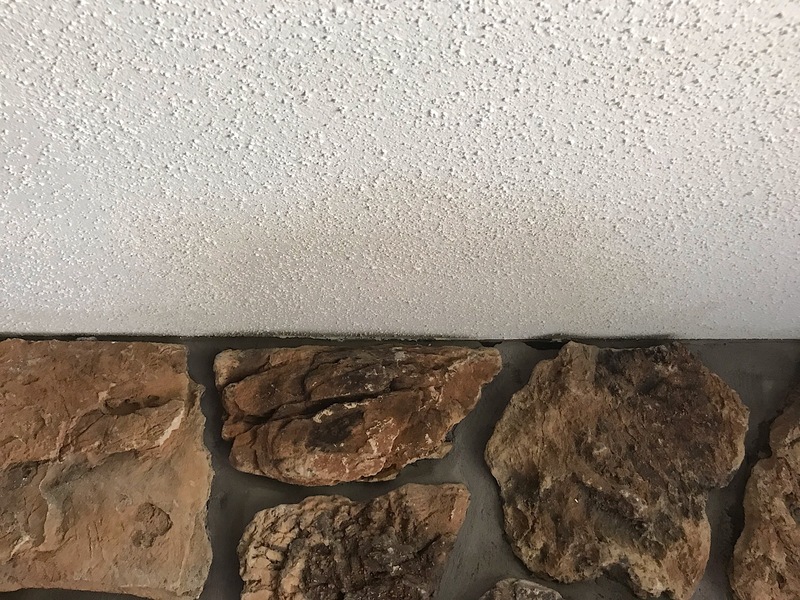 Scratch, brown and finish cote. 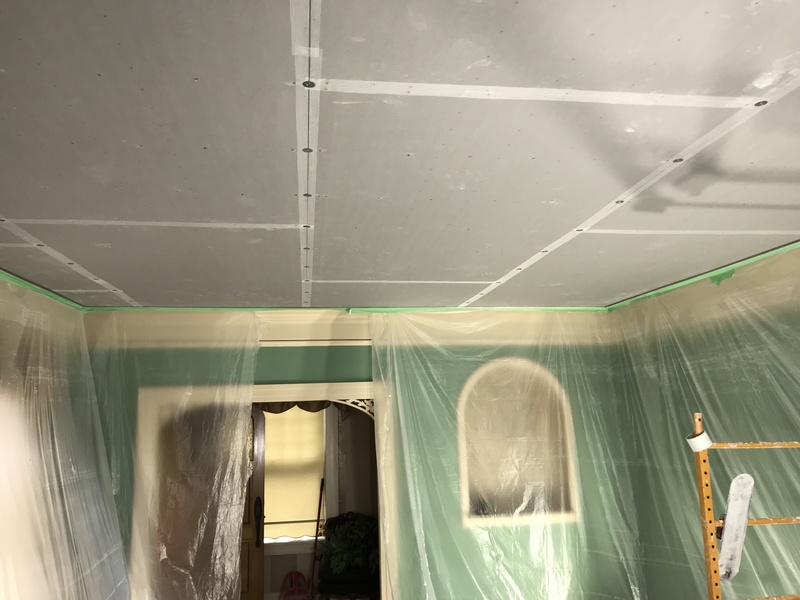 Kitchen and Dining room ceiling and walls. 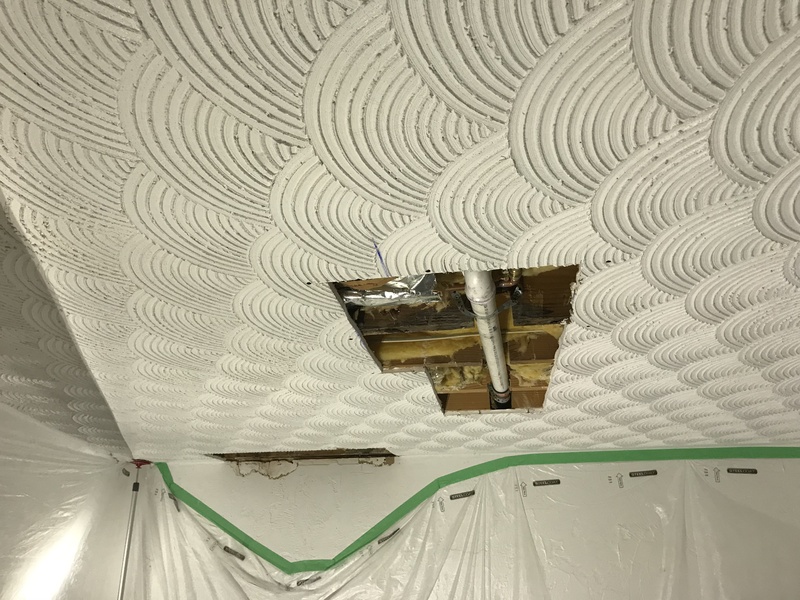 Matching a splatter knockdown texture in a basement. 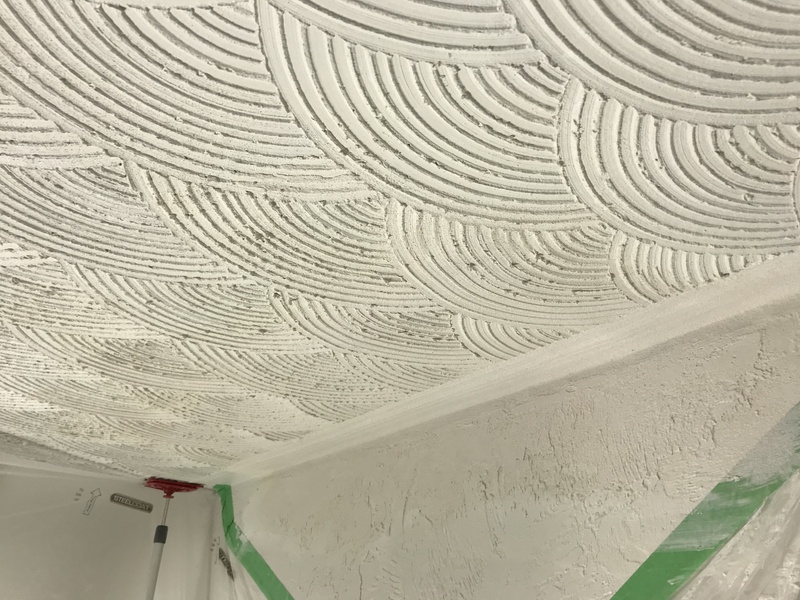 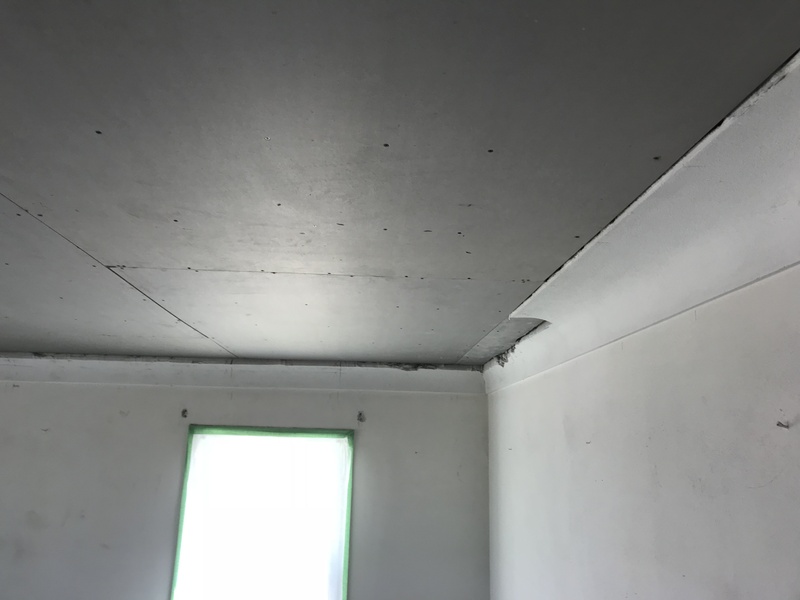 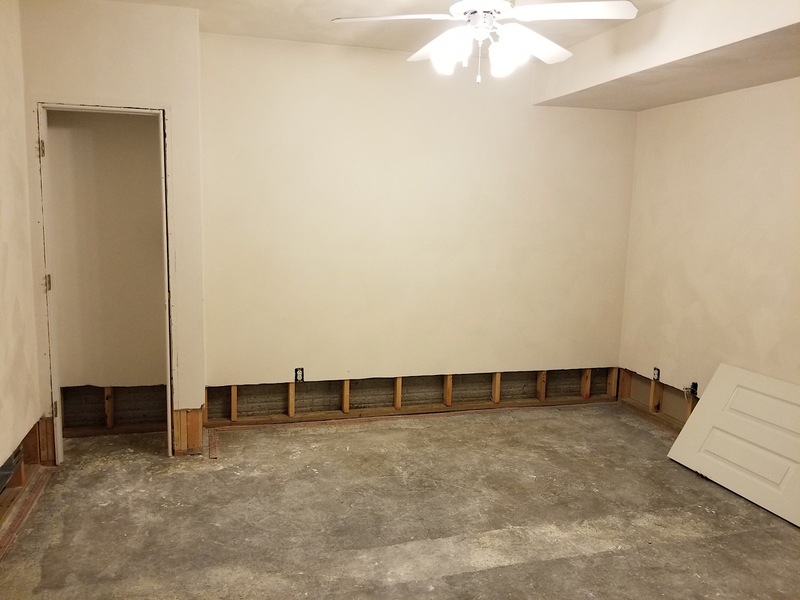 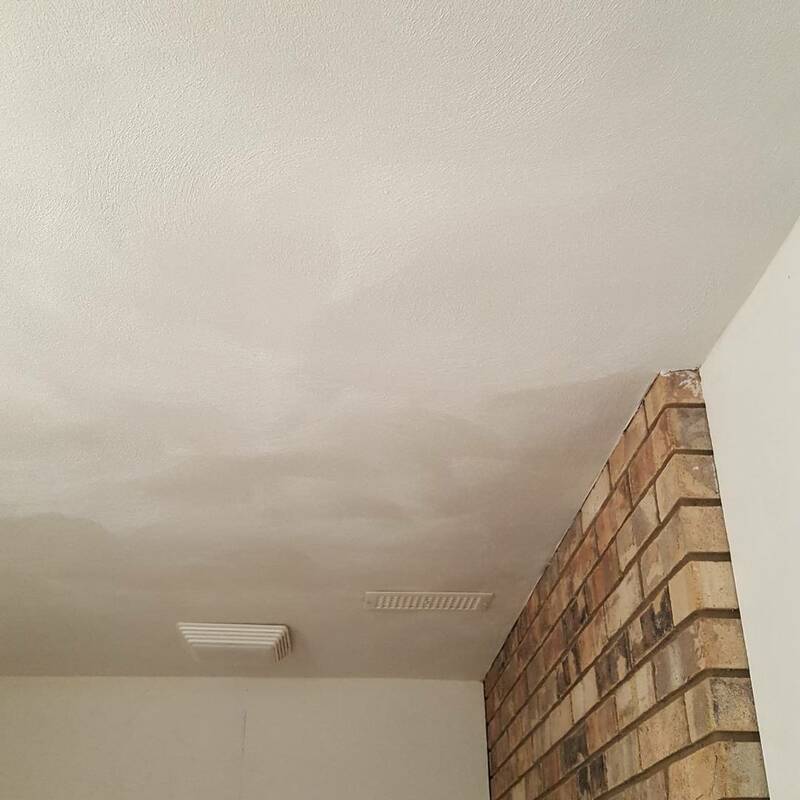 Skip trowel texture on the walls and sand finish ceilings. 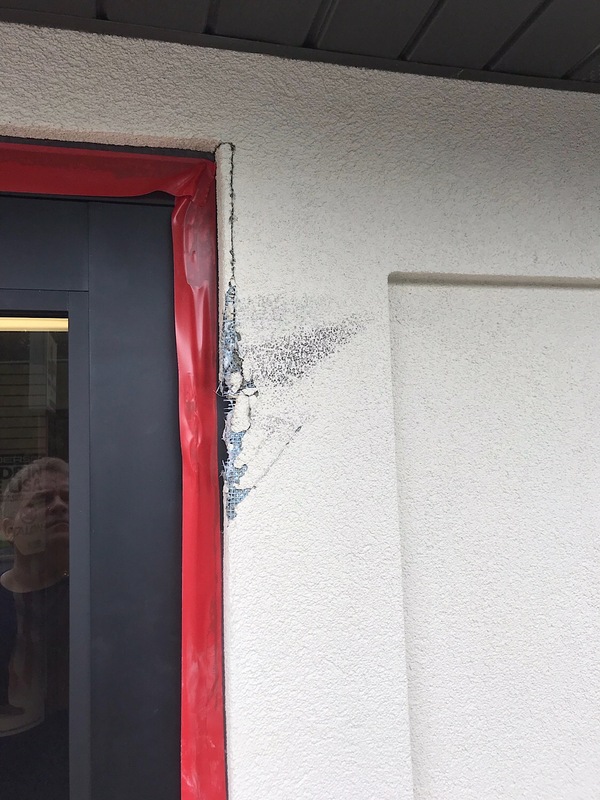 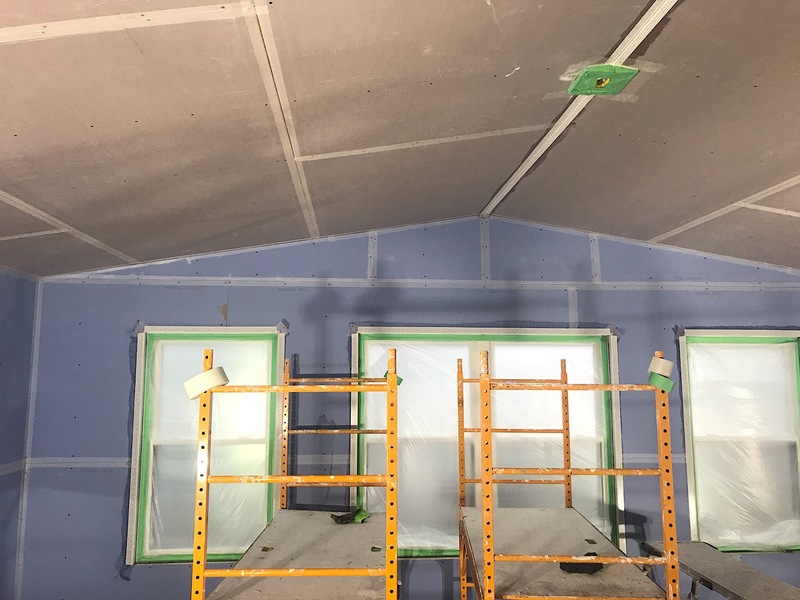 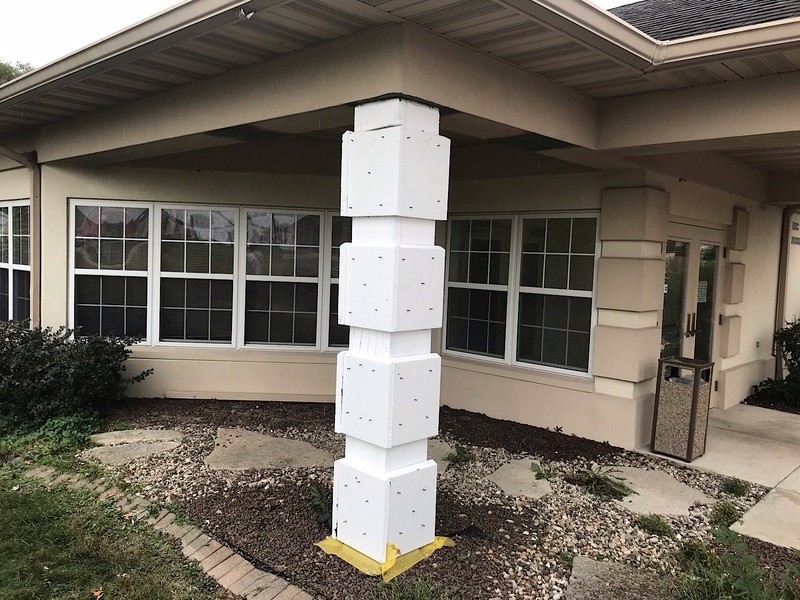 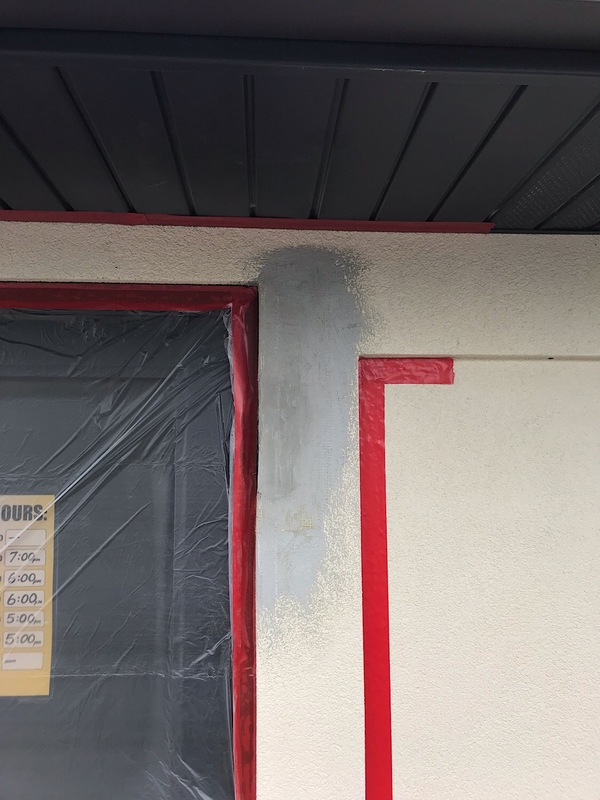 E.I.F.S Exterior insulated Finishing system on an edition. 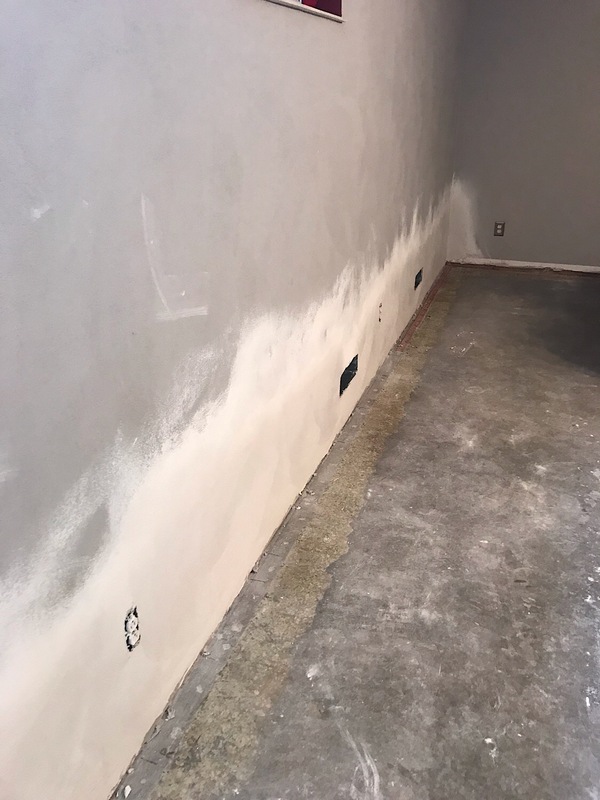 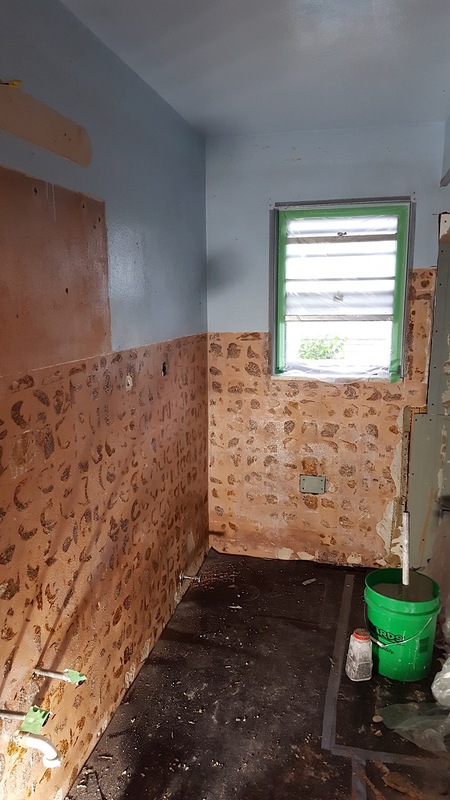 Resurfacing bathroom walls after tile is removed. 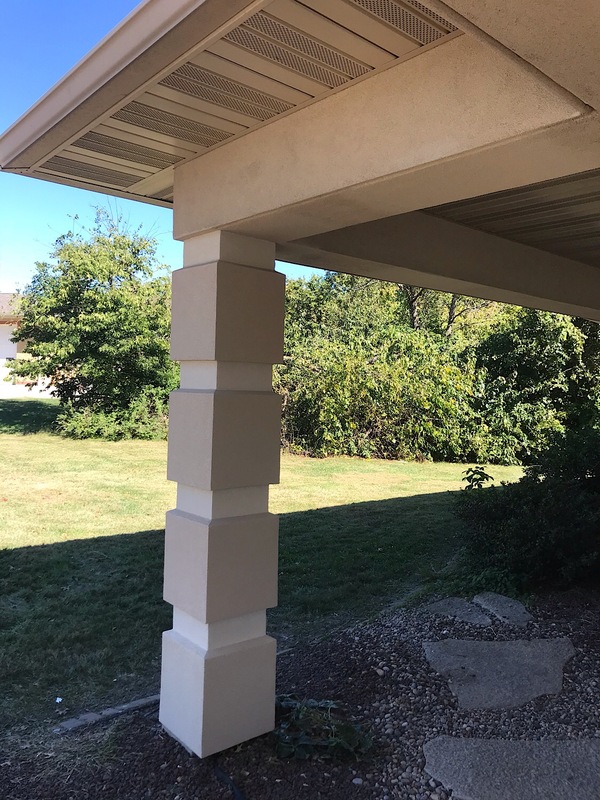 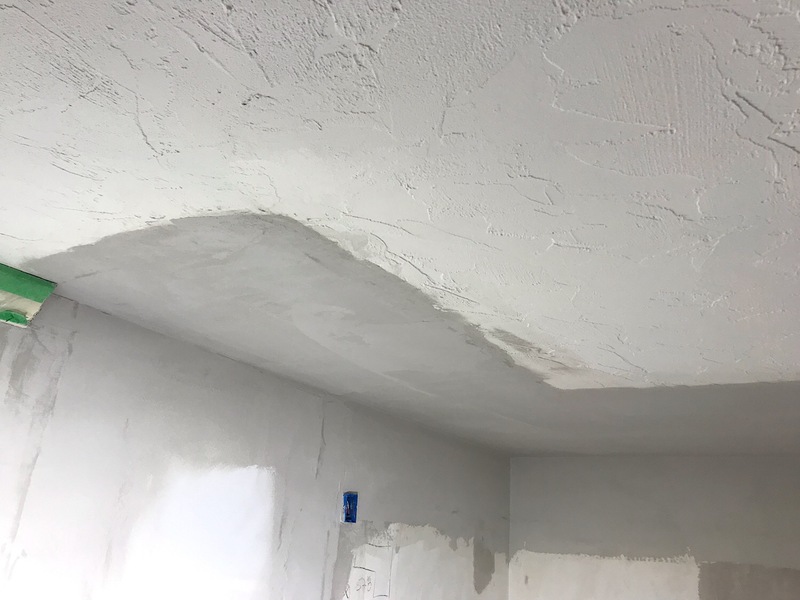 Matching a heavy skip trowel texture. 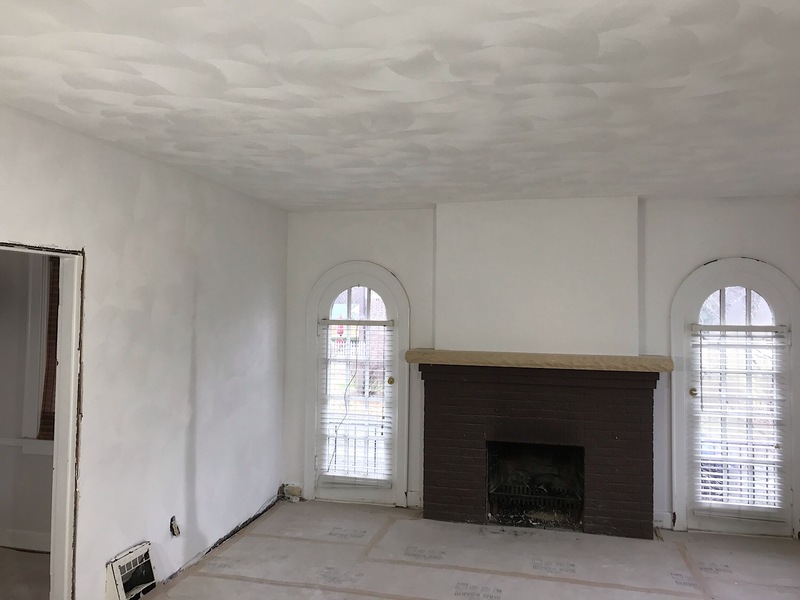 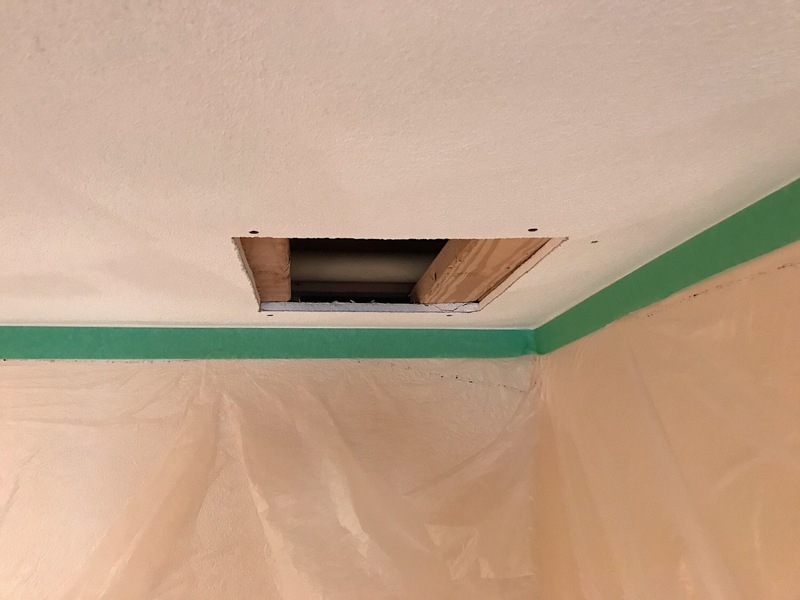 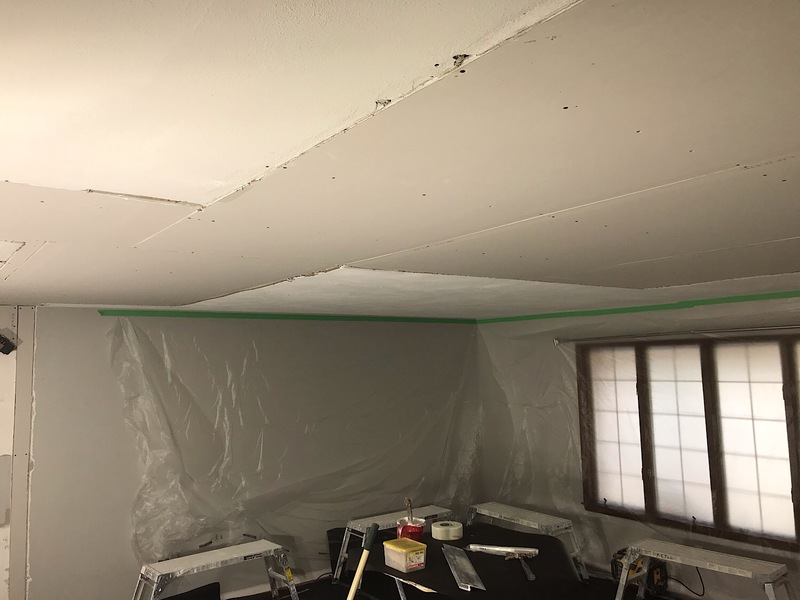 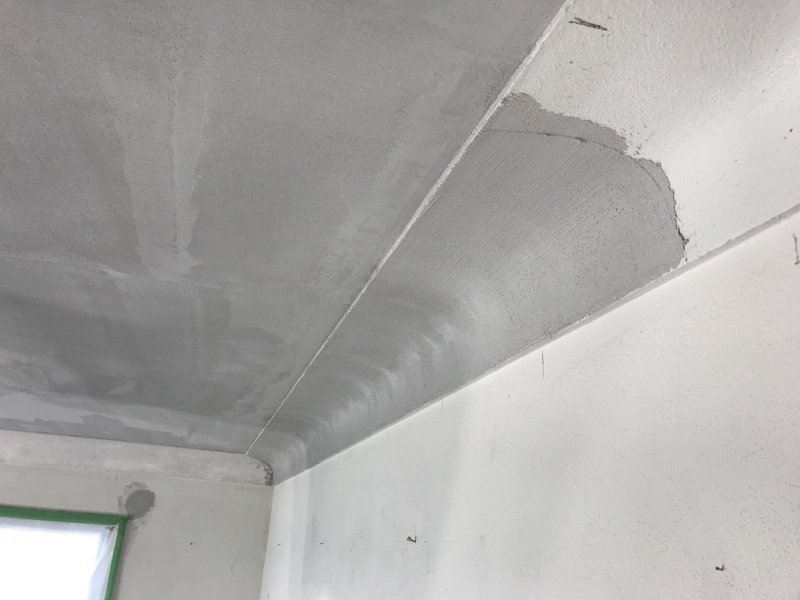 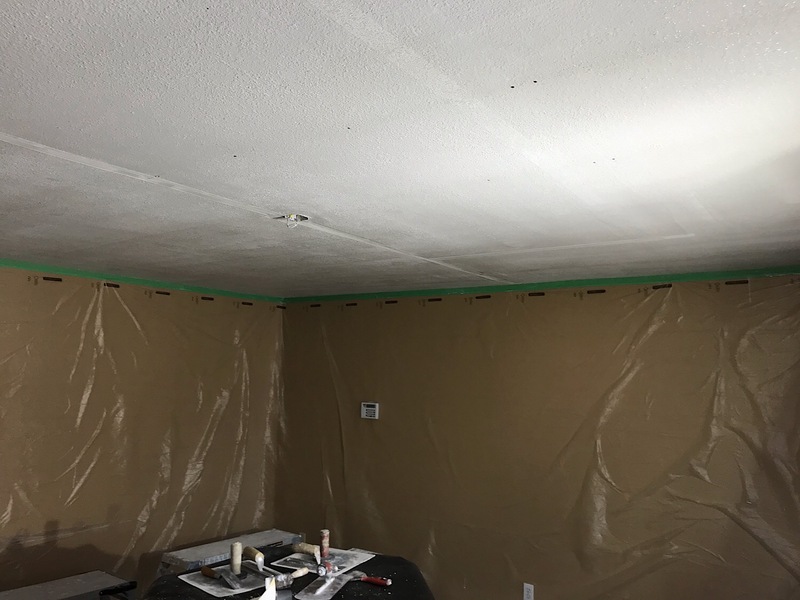 Popcorn ceilings no more, New sand finish plaster ceiling. 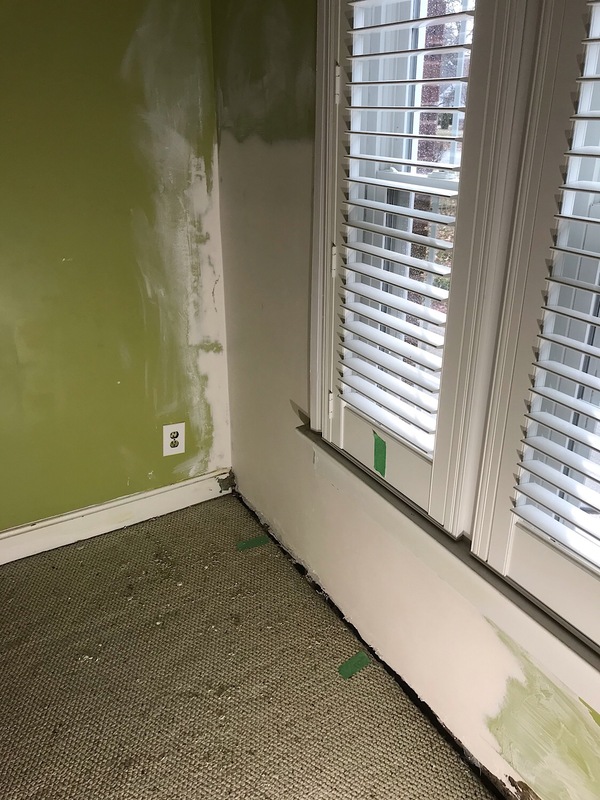 Matching up a heavy texture in a bedroom. 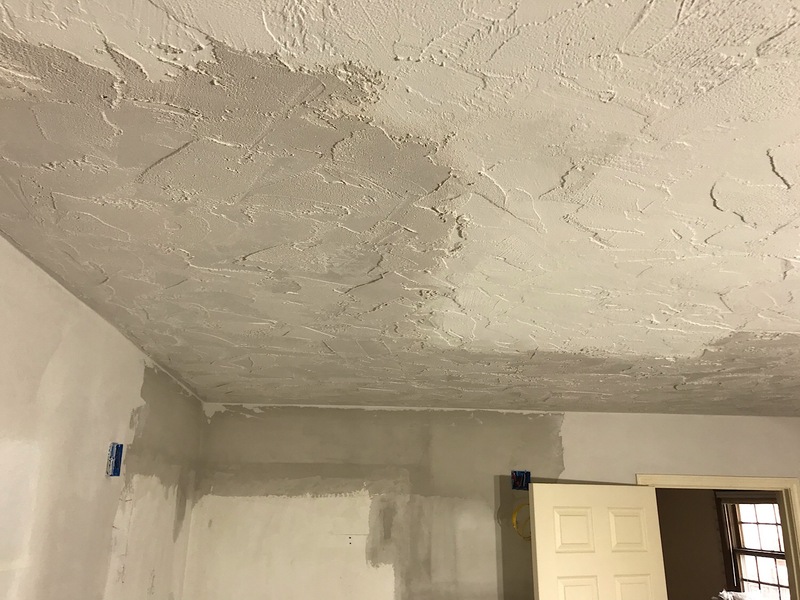 Water damaged acoustic spray ceiling in bedroom patch and repair. 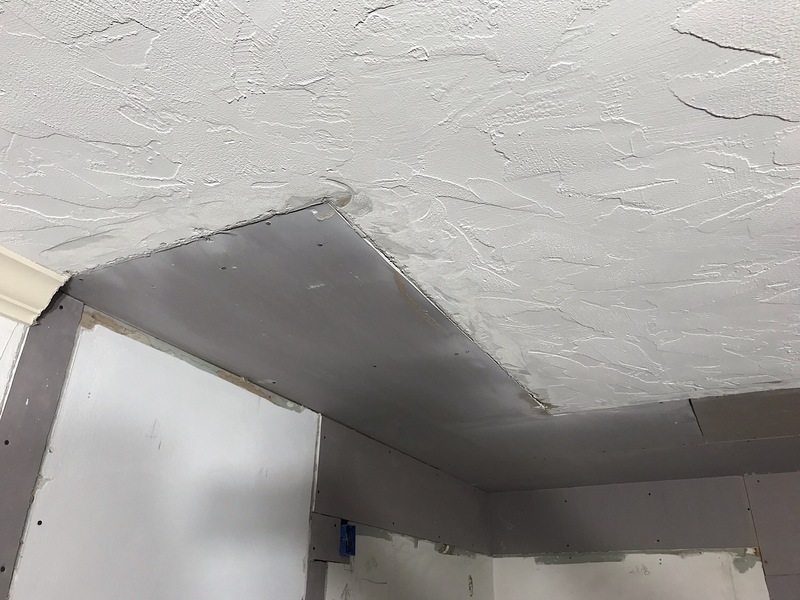 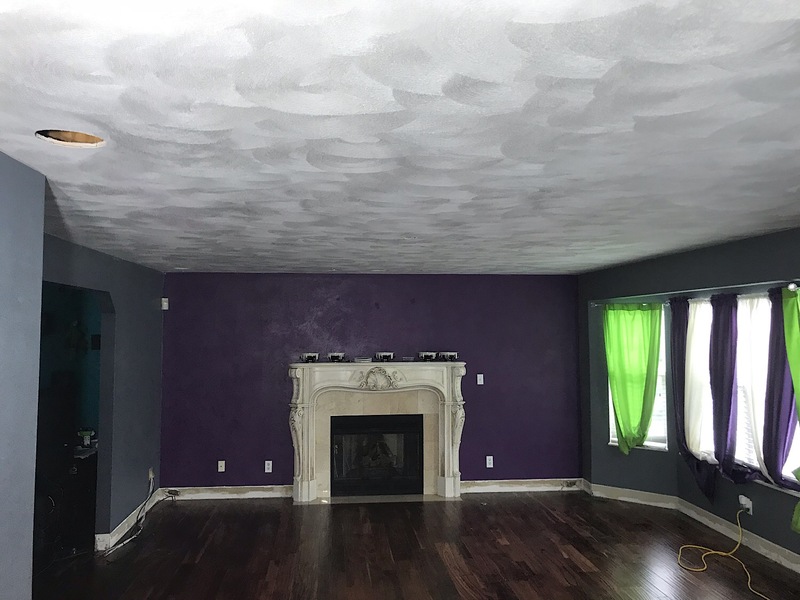 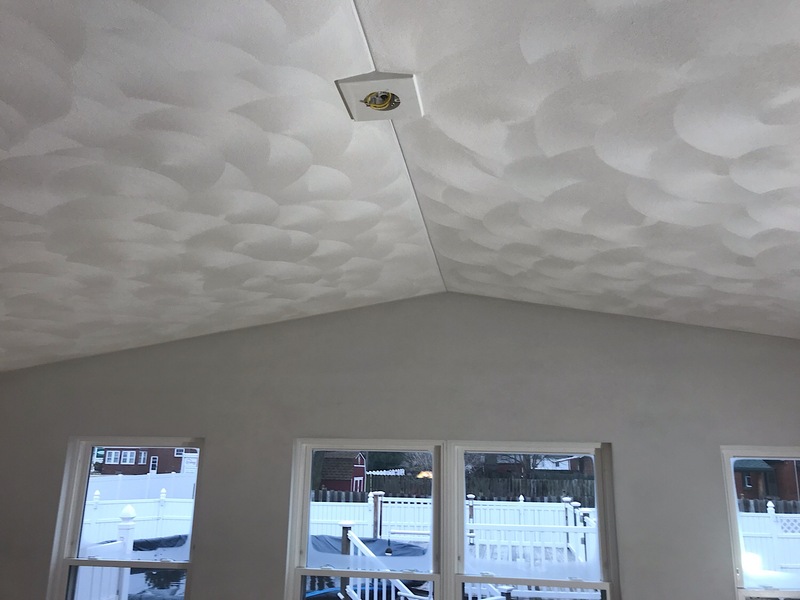 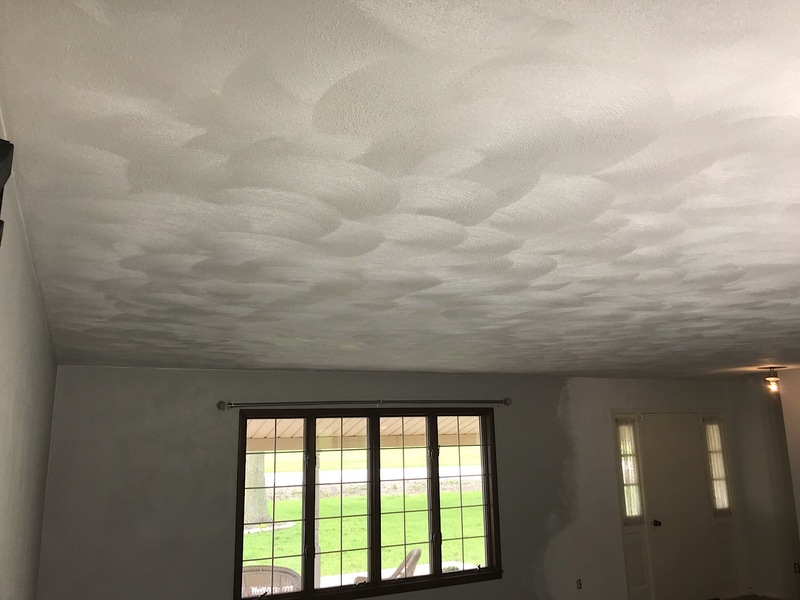 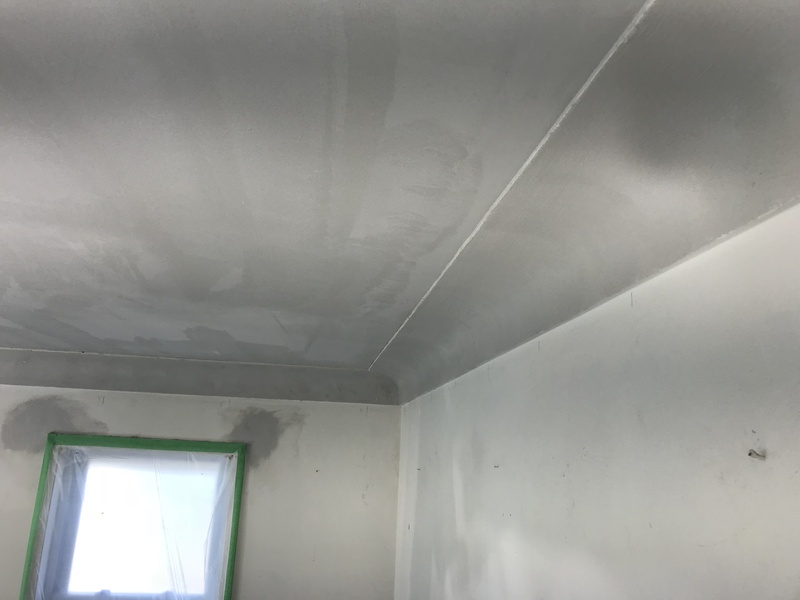 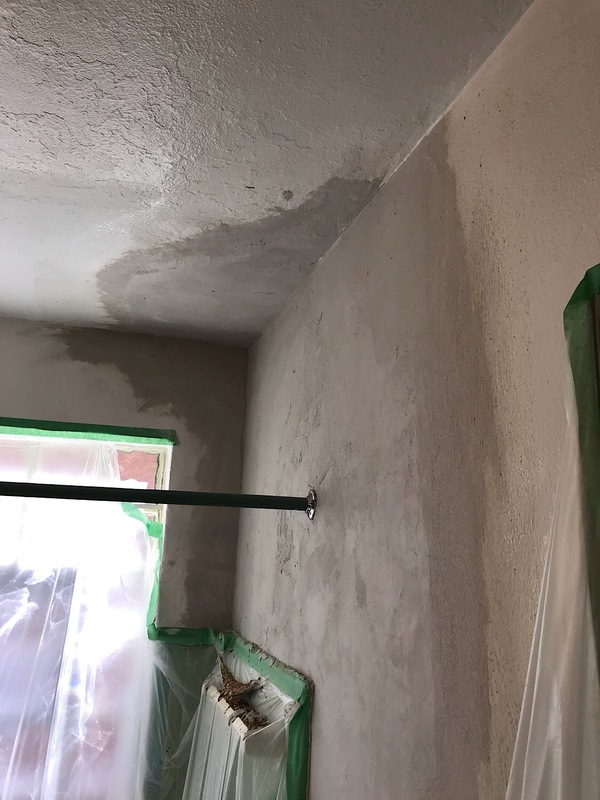 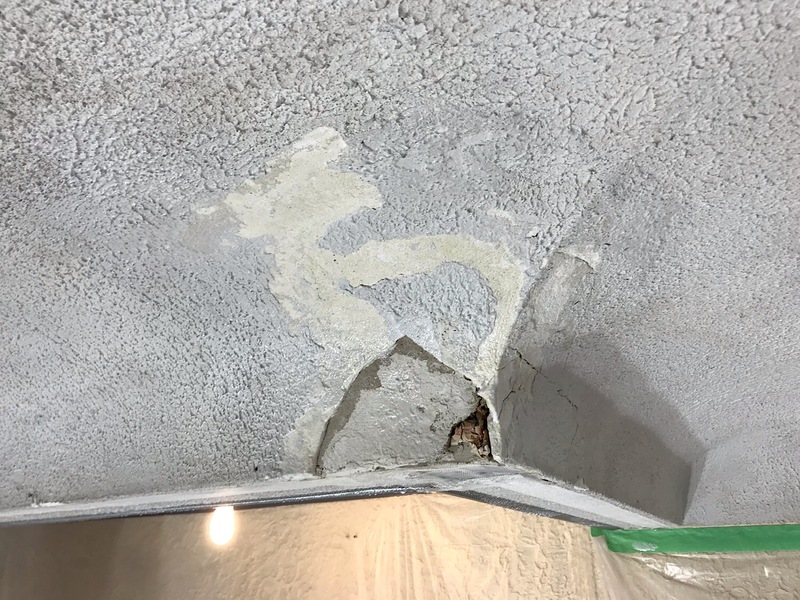 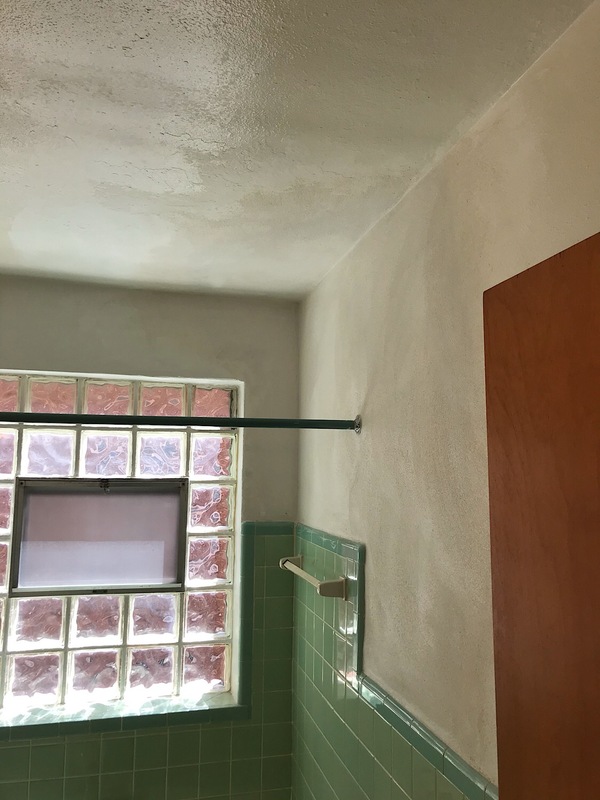 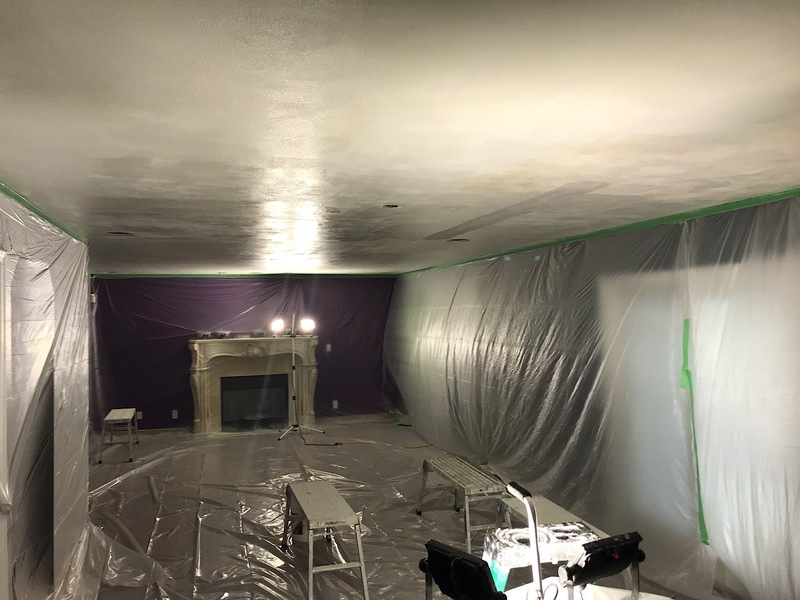 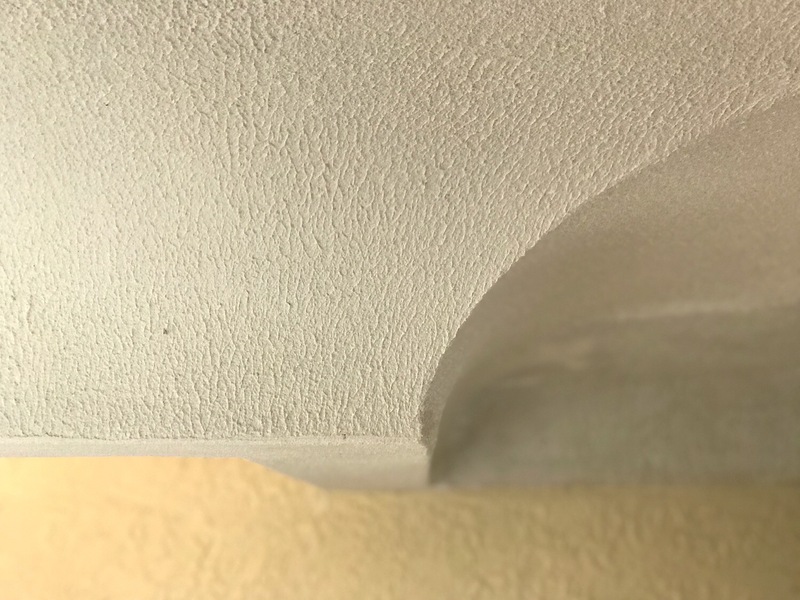 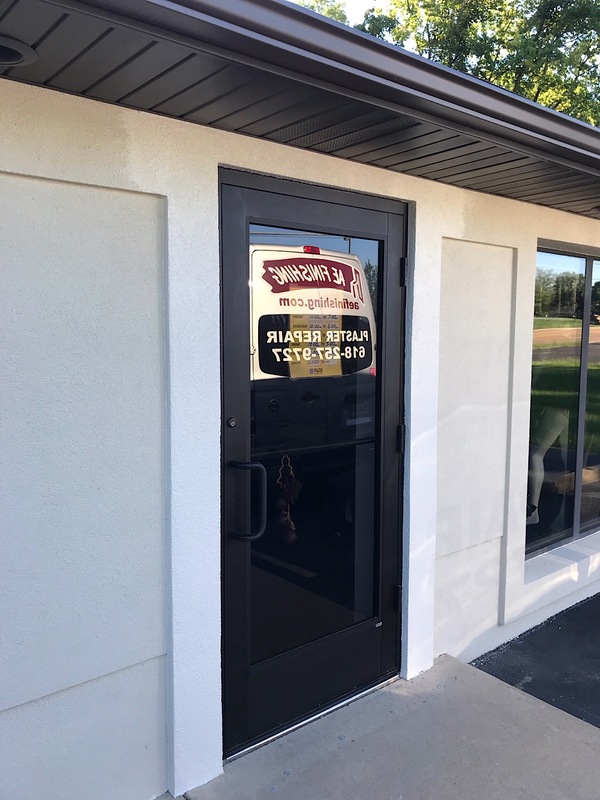 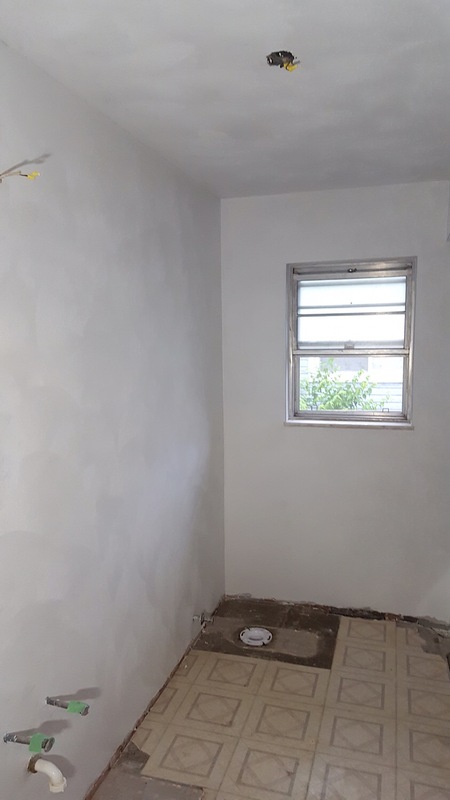 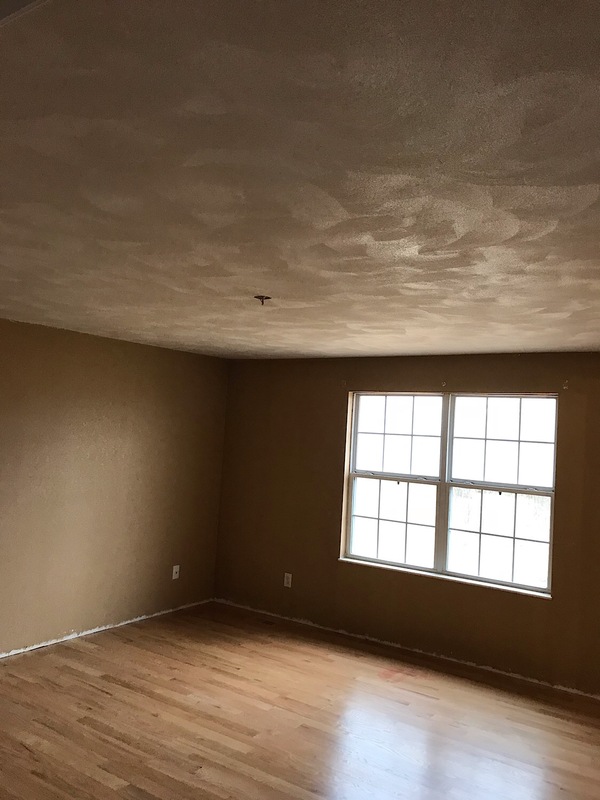 Formerly a popcorn ceiling now a sandfinish plaster. 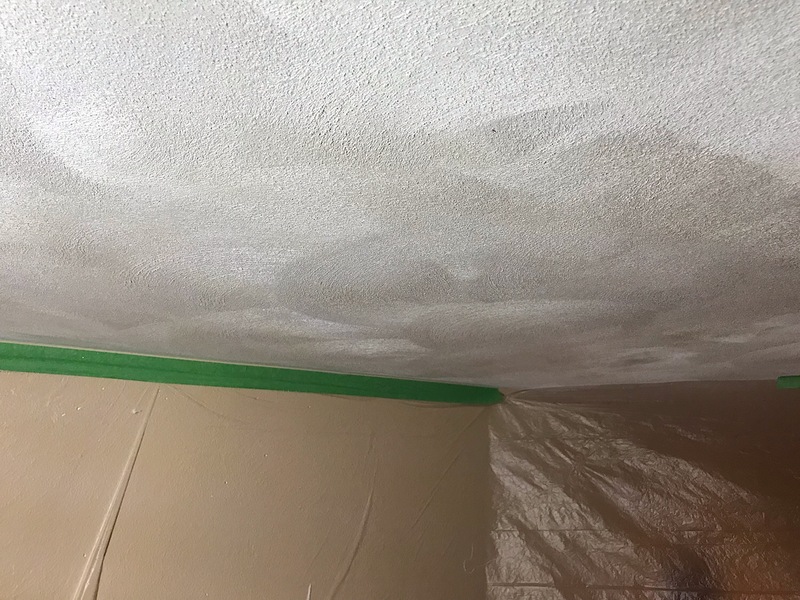 Finished Cove and heavy texture Repair.